--- with a double-barreled mystery. ex-fiancée and with no idea of whether or not he is guilty. again pointing to Danner as the perpetrator. satisfactory, if not wholly unexpected, resolution. 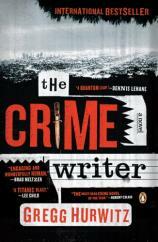 make THE CRIME WRITER a must-read.